Got family coming in. Been on KP all weekend. I'm too pooped to draw. 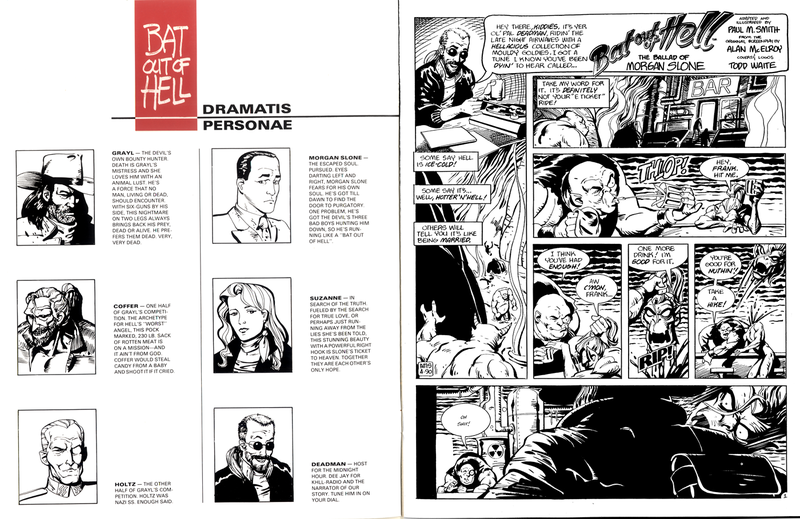 Allow me to make amends by presenting something I can guarantee few, if any of you, have ever seen: Bat Out of Hell Comix, the special unnumbered edition. This was done as a pitch for a movie that, as far as I know, was never made. 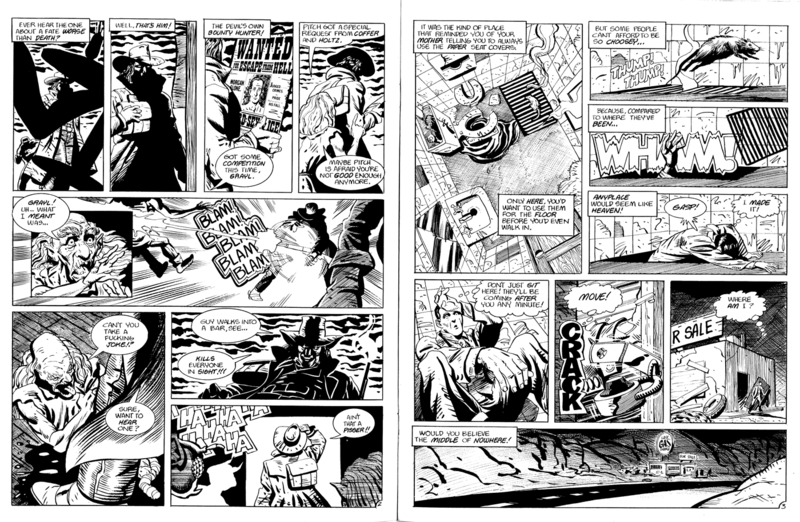 The comic would provide an intro to the story and was to be handed out at Cannes in hopes of drumming up money. Cover and logo by Todd Waite. Original screenplay by Alan McElroy. Adapted and illustrated by myself. 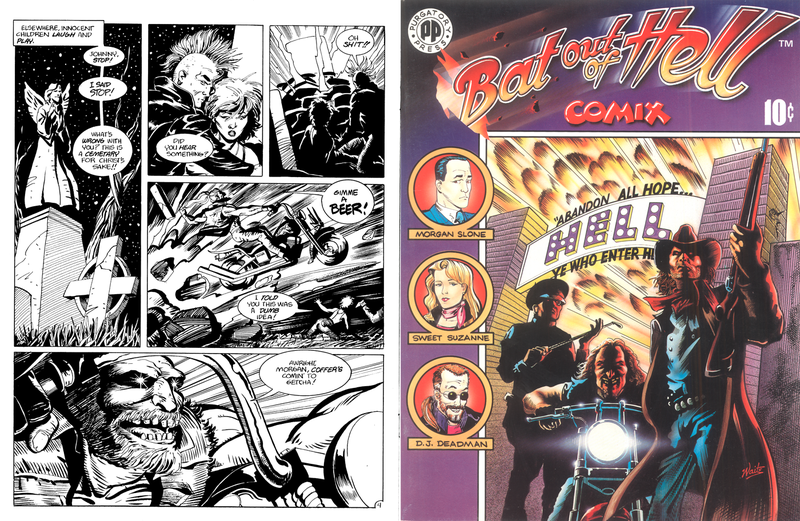 Our Story concerns one mans attempt to escape Hell with the Devil's bounty hunters on his heels. I wanted to go the Reed Crandall/Wally wood EC route. They asked for something cruder, more underground. Book runs 12 pages, I'll finish up next week. For now, Bonzo go bed bed.